Cudworth is Cool. 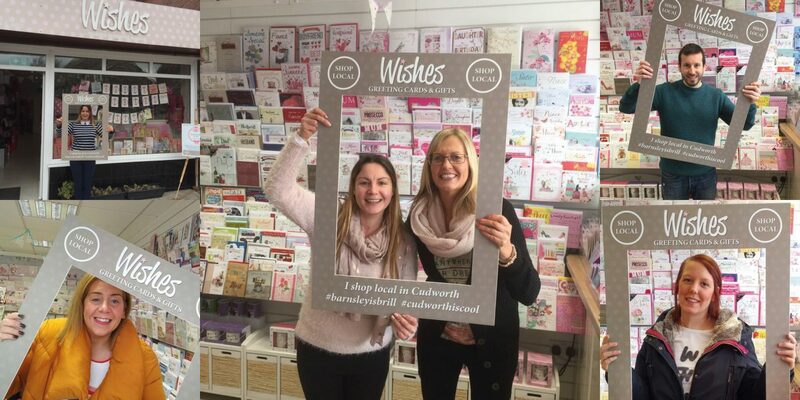 Greeting card and gift shop Wishes are on a mission to make their village Cudworth cool. 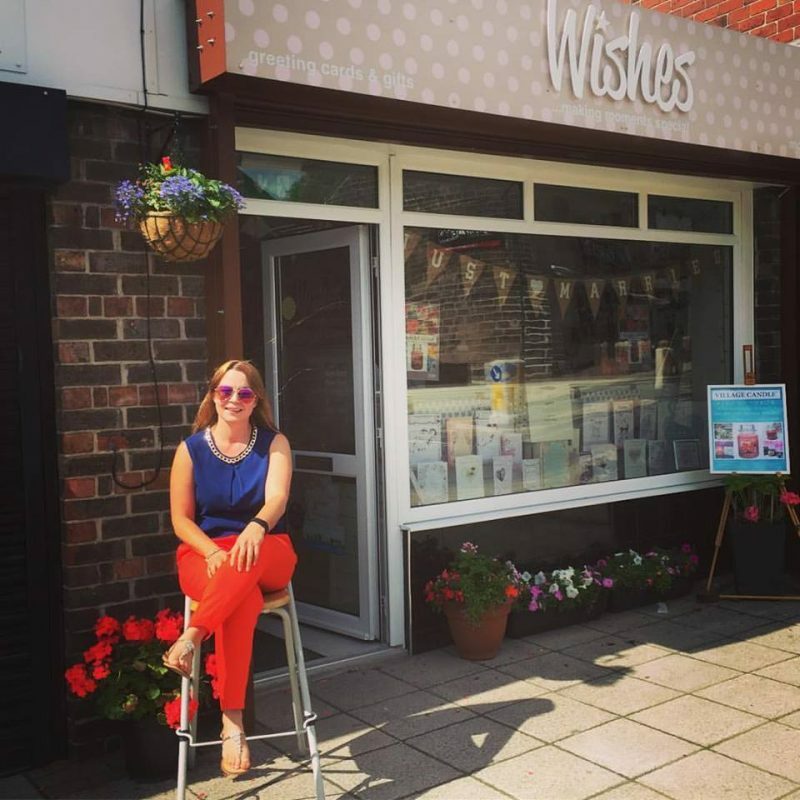 We spoke to the team at Wishes about their shop local campaign. One of the best things about working in a card shop like ours is the moments shared with you, our lovely customers. Helping you to celebrate weddings, anniversaries, new babies and the happiest of birthdays. It’s comforting to know there’s still a place for actual cards in this increasing online world. That a card can connect with the heart in a way that a text message or email never will. Many of our cards at Wishes are mini pieces of art deserving to be cherished and if we could be so bold even framed. As I so often do, I’d like to quote the Doctor “The way I see it, every life is a pile of good things and bad things. The good things don’t always soften the bad things, but vice-versa, the bad things don’t necessarily spoil the good things and make them unimportant”. That thought from Dr. Who echoes in real too. Life is a series of magical highs and overcast lows so it helps to say thank you, well done and we’re thinking of you along the way. A card can help brighten a dark day and lift a little of sadness from a difficult time. We’d like to think of Wishes a part of the lovely Cudworth community. Not just a shop but a place where you can come to have a chat plus browse away from the hustle and bustle of the chains. Therefore we’re on mission to make Cudworth Cool (Well even cooler). Taking inspiration from the #barnsleyisbrill hash tag we’ve come up with our own; #cudworthiscool. Over the next few month’s we’ll be running special promotions in the shop’s to support our wonderful village. To encourage people to shop local and keep their high street vibrantly alive. We’ve some fantastic shops on Cudworth high street, from Deacons Superdec to Buttercups Florist and Poppy’s Florist & Coffee Lounge. We’d love if you could spread the word and support our shops. A nice Facebook review, a cheeky Tweet and friendly recommendation would mean the world to all of us. Part of the Cudworth is Cool campaign is our new shop local photo frame. If your not camera shy, we’d love for you to take a moment to have your photo taken in the shop. We’re nothing without you our loyal customers so we want to say a big thank you to everyone of you. Our shop is an independent shop owned buy Julia Keeling who works six days a week in the shop, putting her heart into providing the best cards and gifts. Every card is hand picked by Julia to find the best designs. Every gift is chosen to offer the best value for money. Every sale means so much to Jools. So again, thank you, high five Cudworth.